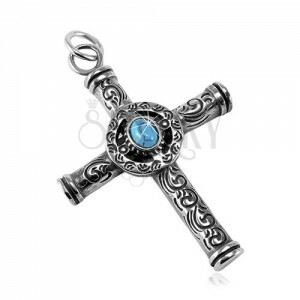 Patinated steel pendant, big Celtic cross decorated with an oval turquoise-blue stone and ornaments. 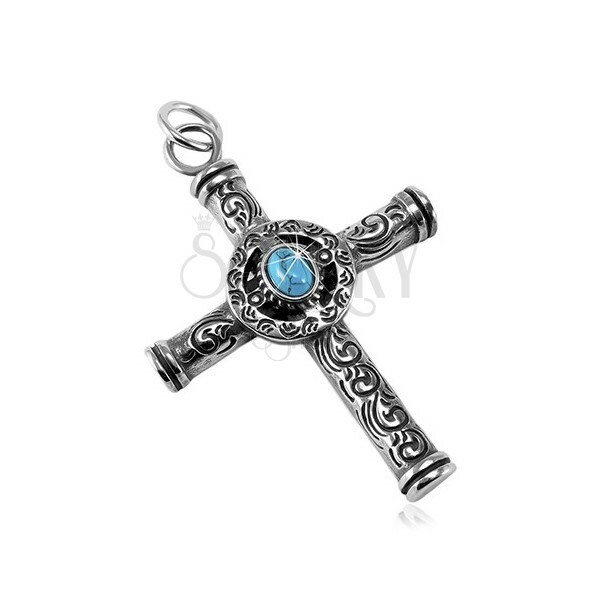 Stainless steel pendant has silver colour and is made in the shape of a big Celtic cross. In the middle is placed a circle with an oval turquoise stone with irregular black lines. The shoulders of the cross are decorated with engraved ornaments and a black patine. The eye for the chain is circular.